Easter is a religious holiday celebrated by Christians around the world. For these Christian friends, Easter is about their faith in the resurrection of Jesus Christ whom they believe to be Lord and Saviour. The resurrection from the dead gives them hope both for the present as well as the after-life. 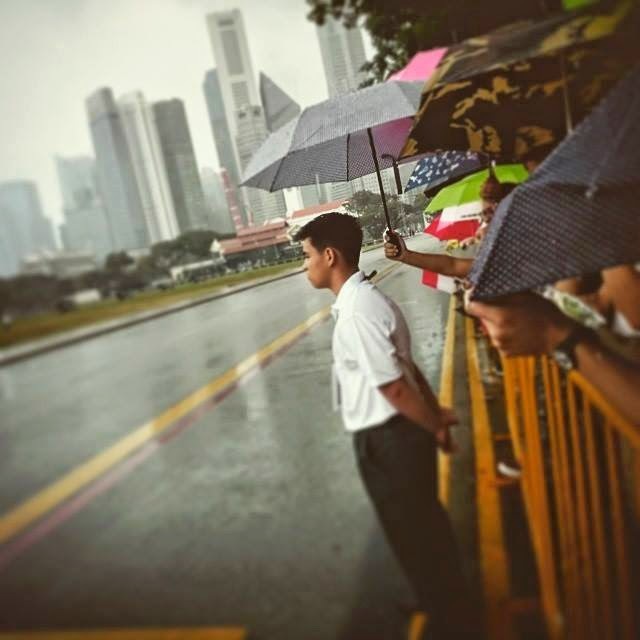 So much has already been written by so many about the good that was seen at the Padang where thousands queued day and night to pay respect to the late first Prime Minister of our nation, Mr. Lee Kuan Yew. I can do no better than quote what my dear friend Melissa Kwee, the CEO of the National Volunteer and Philanthropy Center, had posted on her Facebook, aptly titled The Jubilee Spirit of Singapore. She began with these words, “Last week we witnessed what is best and true about the Singapore Spirit.” What she has written perfectly illustrates my belief that “hope springs eternal in our hearts when we have faith in the good that only love can accomplish.” Here is the rest of her article. I am sure you will enjoy it as much as I did. We are not deep down, the “kiasu” nation. We are a caring, giving and selfless nation. We inspired one another with acts of selflessness, the courage to care beyond convenience, compulsion or necessity, and the willingness to endure heat, rain and eight-hour queues for a brief moment of silence to bow, say a prayer or just acknowledge in our heart, the contribution of a man who did not fear censure or reprisal but always asked what was best for Singapore. I am not of the generation that knew the bucket system of sanitation, irregular bus hours or the pain and deprivation of war. I have never had to survive on sweet potato leaves grown by the side of street. I have never feared for my safety walking around at night. I have not lost a family member to malnutrition, malaria or occupying forces. So why did the last week leave me in tears? I confess I was not the greatest fan of Mr Lee. I held a respectful regard for him. I admired his fortitude and towering vision and intellect. But I did not love him. I found him a hard man, devoid of feeling and driven by an almost ruthless pragmatism. I did not see his internal struggles, I did not understand the ideals behind the pragmatism, and I did not fully appreciate his consistently selfless dedication. Last week’s stories peered into his private moments with his beloved wife and showed his tenderness, respect and love till death did they part. His defence of the common man as his brother and the desire to use his legal skills to aid workers inspired me, his frugal lifestyle and his personal example of sweeping the street to keep Singapore clean, humanised the giant. Seeing his body lying in state draped in the flag and observing the barest of accoutrement at his tribute attended by the world’s leaders, it was difficult not to accept the ultimate fragility and impermanence of life. We are born with nothing, and with nothing will all go. So what is left? It has been said we now have institutions which carry on regardless of persons: a strong civil service, a legal and banking infrastructure, schools and fine institutes of higher learning, parks and gardens to refresh and restore urban souls, and places of worship where all are free to practice or refrain. But the most powerful yet the most fragile is the Singapore spirit; the spirit that celebrates what is best about who we are: a land of opportunity regardless of where we come from or what we look like, a sense of common cause and destiny, the kampong spirit where food, water and umbrellas are shared, and a belief that everyone can share their success for the benefit of others. 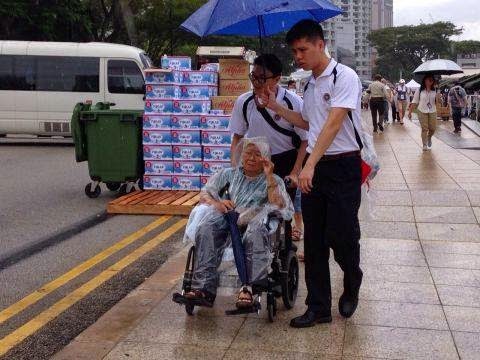 Ordinary Singaporeans have shown each other what we, as a country are made of. We are not soft. We are not self-centred. We do not only act out of convenience or give to get. We want to talk about how we feel. We want to express our gratitude. We want to share what we have. We will go out of our way to make others feel more comfortable or help get things done. I am so proud of my colleagues who on the first day of the public funeral witnessed the long unsheltered queue along Eu Tong Sen Street from our office windows. Old and young had gathered to pay respects. It was mid-afternoon and the heavy sun was beating down. They suggested that we use our corporate umbrellas and give them out to those needing some respite from the heat, so we went down with 82 orange umbrellas to hand them out to our neighbours. They ventured all the way up River Valley Road to the start of a queue which would take many more hours to clear. Other offices came out with trolleys of their bottled water to share with people on the street. 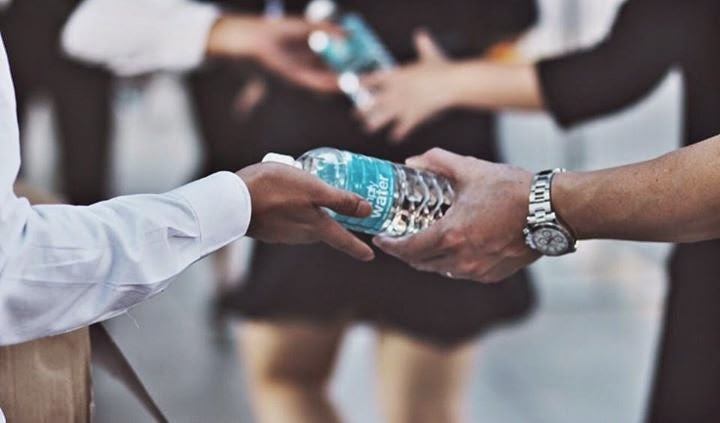 It was a ripple of generosity that started to spread. Our office then became a production site for posters for the Priority Queue and my colleagues took the afternoon to help find the elderly, infirm, pregnant women and families with small children to allow them to pass with priority. No one grumbled or complained. People shared umbrellas and waited patiently. They were proud and purposeful standing in line. On the roads, people gave way and waved each other in. Drivers were polite. In the Botanic Garden and on the street, I saw more people picking up small pieces of litter from the ground and looking for bins. Parents had heartfelt conversations with their children about what it meant to be Singaporean and children drew pictures and wrote letters to thank Mr Lee for “building houses and schools” and making “a good country.” Even my parents who prefer telecasts and dislike queues and crowds, went out on the rainy day of the funeral to stand beneath the MRT tracks at Commonwealth to hold our flag with fellow citizens from the neighbourhood as the cortege passed by. So as we reflect on the week that has passed, it is worth asking what made it so and how this culture of contribution could become a more regular experience in daily life. There seems to be three key factors which enabled this aspect of culture to be expressed. First, we told and retold the stories that inspired us. Far from being sentimental, the stories of his life-long love affair with his wife, her fussing over his hair made him real. His confident response to censure by western press reminded us we are not second class citizens and can have independent views. His dream of a multi-cultural Singapore where racism and bigotry have no place makes me proud to be Singaporean. Stories inspire us to be our better selves for our self and for each other. Stories show us what is possible when we believe and act in good faith. Lastly, I think we had the permission to feel something. We were allowed to grieve, give thanks, reflect. Feeling is not the first and primary response of Singaporeans. We are thinking people more than a feeling people. Our leaders don’t cry. But this week, leaders grieved and told us what they cared about, what they admired and what they too wanted to live for. Mr. Sanif’s eulogy moved the nation because it was filled with love for his brother. Caring for strangers in that sense is even more illogical but all the more powerful. Giving comes from caring and is neither calculated nor contractual. The innumerable taxi uncles who gave free rides to passengers from the Padang during the long nights when people had paid last respects at 3 and 4 am, are a testimony to this irrational and extravagant love. 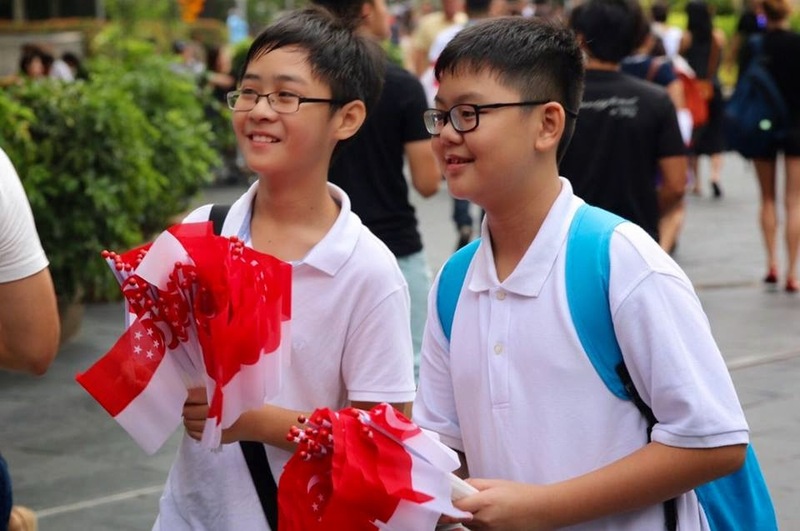 What does this tell us about how to continue to celebrate and strengthen this Singapore spirit? It tells us that we must become a nation of storytellers, we can share each other’s stories of small acts of great love. We can share them around the dinner table, we can share them online, we can create artworks, traditions, or school projects that capture and share this spirit. It tells us that we need employers to allow and even encourage their staff to be citizens and neighbours and not just employees. 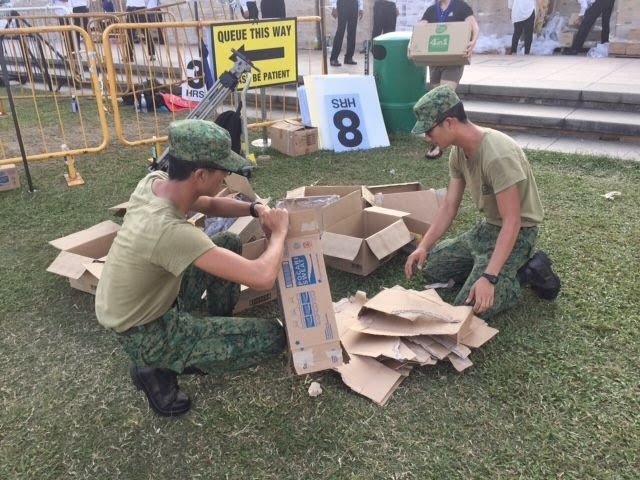 If more companies opened themselves to a day of volunteer leave (a day or 8 hours a year) to serve Singapore and could create simple, meaningful and fun giving and service activities, I believe employees would respond positively. Lastly, may we always remember we are one Singapore and despite differences, we can come together and share a common dream. May our actions always come from a place of goodness and best intentions. May we reflect and count our blessings often and perhaps this National Day, when we also celebrate our Jubilee Holiday, we can make it a day to remember and commemorate this giving spirit of Singapore. In that way, though Mr Lee will not be with us to celebrate, the spirit of giving and living for Singapore’s ideals will resound with new life. Indeed, "our actions always come from a place of goodness and best intentions". That place is where “hope springs eternal” in our hearts. That is also where so much good manifested that memorable week is truly driven by love for nation and for the good one man had accomplished because of his passion for Singapore. What happened last week, so beautifully summarized by Melissa, reaffirms my faith in the good that only love can accomplish.